His Imperial and Royal Highness Prince Georg Friedrich of Prussia Witnesses the Signing of a Cooperation Agreement. On Wednesday, July 3, 2013, His Imperial and Royal Highness Prince Georg Friedrich of Prussia witnessed the signing of a cooperation agreement between the German high-tech company, Tridelity AG, and Blue Ocean Technology from China, at Schloss Hohenzollern in Germany. At this time the individual who purchased the beautiful 35-carat diamond remains anonymous. Click here to read an article from the Washington Post. To learn more about other items that were on auction please click here. As you may or may not know by now the famous Beau Sancy diamond, currently owned by His Imperial and Royal Highness Prince Georg Friedrich of Prussia, is about to be sold at auction via Sotheby’s in Geneva next month. In the video above, Mr. David Bennett discusses the history of the diamond and much more. 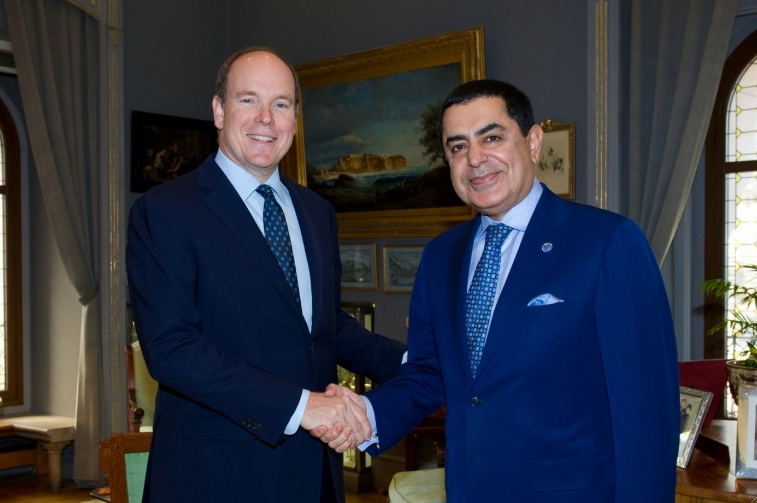 Meanwhile, at the Palais Princier de Monaco, His Serene Highness Prince Albert II held a meeting with the President of the 66th session of the General Assembly of the United Nations, Mr. Nassir Abdulaziz Al-Naser. It was announced that Her Royal Highness the Duchess of Cornwall received the Dame of the Grand Cross which was appointed to her by Her Majesty Queen Elizabeth II. Click here to read more about this wonderful honor. 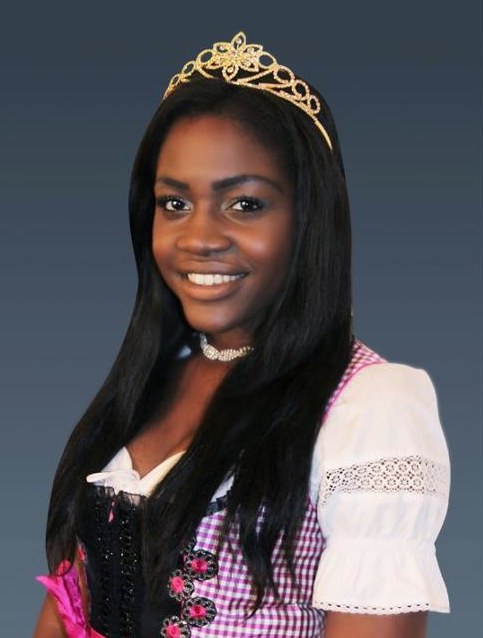 Meanwhile, the bikini princess, Corinna von Hohenzollern, has been quite busy since her regal marriage to Carl Alexander Prince von Hohnzollern in February. 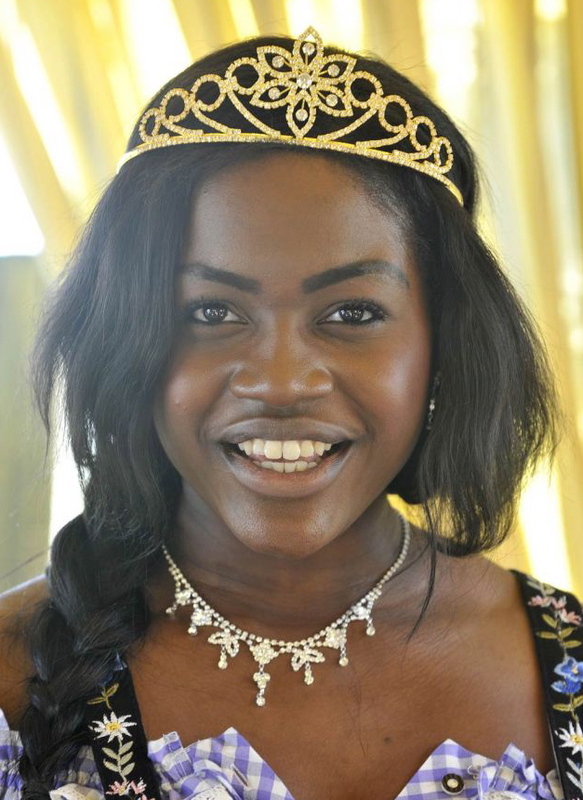 According to the Austrian online newspaper, OE 24, princess was recently in Vienna, Austria where she attended a party hosted by the pervert gentleman’s magazine, Penthouse. Finally, Princess Corinna launched her official fan page on Facebook. Yay. For more information please click here. 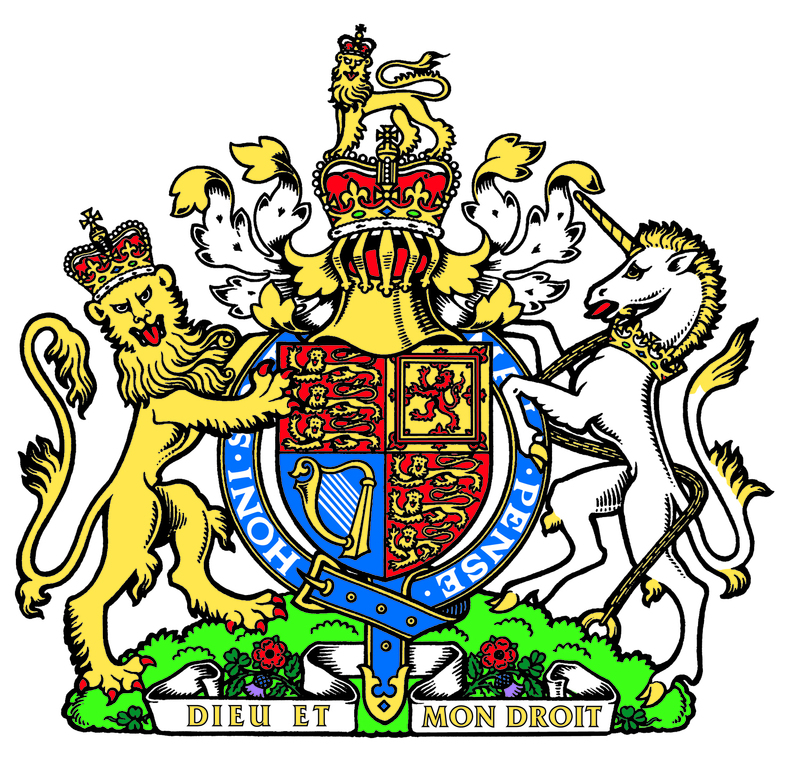 Random Royal News Regarding Their Royal Highnesses The Duke of Edinburgh and The Earl of Wessex. Plus, Fun News About Prince Carl Alexander and Princess Corinna von Hohenzollern. On March 19, 2012, Their Royal Highnesses the Duke of Edinburgh and the Earl of Wessex attended the Umpires’ Dinner for the Lords Tavener’s held at the Hilton Hotel in London. Meanwhile, last Friday, March 16, 2012, Prince Carl Alexander von Hohenzollern and his lovely bikini princess bride, Corinna, apparently attended the 2012 Orange Wiener Filmball (Orange Filmball Vienna) held at the Wiener Rathaus in Wien, Austria. 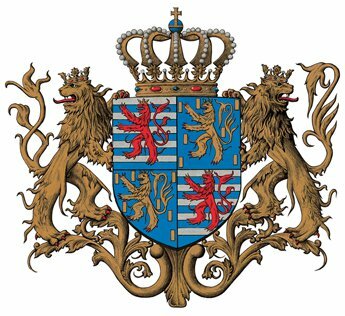 Here is the RBB documentary, Hochzeit in Potsdam, about Their Imperial and Royal Highnesses Prince Georg Friedrich and Princess Sophie of Prussia and their wedding. 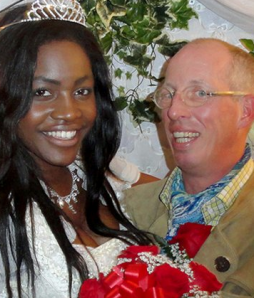 At the 3:47 mark begins a lengthy interview with the couple. If you are interested in watching the wedding between H.I.&R.H. 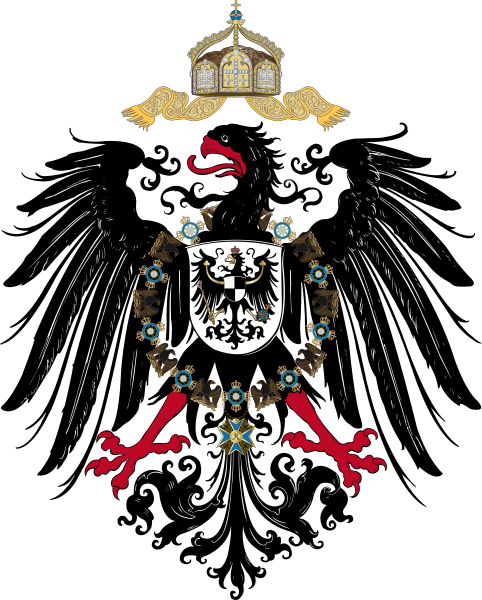 Prince Georg Friedrich and Princess Sophie of Prussia you may do so at RBB online. Click here or here to watch the Imperial wedding live. Also, according to several well-informed members from the Nobiliana Forum the live broadcast of the wedding will also be shown on SWR network. The live transmission begins at 11am Saturday, August 27, 2011, in Potsdam, Germany. If you need a time zone coverter to figure out when the wedding begins in your area please click here. Finally, if you would like to watch a myriad of videos regarding the wedding as well as other stuff please click here as well as here (scroll down to see various video clips). On August 26, 2011, H.I.&R.H. Prince Georg Friedrich of Prussia and H.S.H. Princess Sophie von Isenburg attended a pre-wedding charity concert at the Gendarmenmarkt Concert Hall in Berlin, Germany. 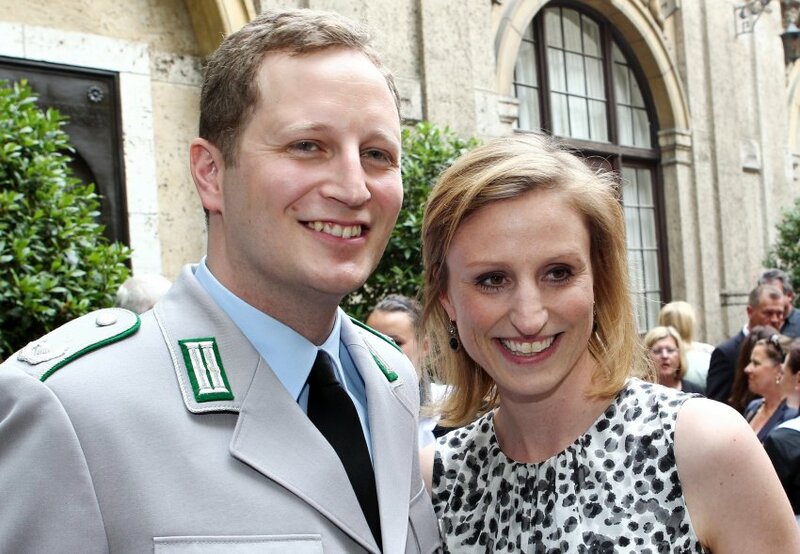 ‘The Last Kaiser’s Great-Great Grandson Set to Marry’: An Article from Spiegel Online. Plus, a Video News Report. Tomorrow is the big day for H.I.&R.H. 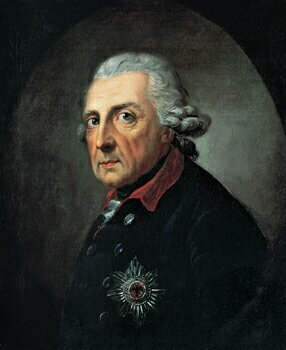 Prince Georg Friedrich of Prussia and H.S.H. Princess Sophie von Isenburg and this afternoon the German magazine, Spiegel, has a new article about the couple’s wedding. Click here to read the article. Here is a video news report with Count Alexander von Schönburg discussing the upcoming Imperial wedding in Potsdam. Click here to watch the video.